The founders of Chronos and UrsaNav announced a new collaboration yesterday (December 3, 2015) intended enhance the resilience and reliability of space-based positioning, navigation, and timing (PNT) services. Known as “Taviga,” a conflation of parts of the words for Timing and nAVIGAtion, combines the founders’ decades of experience specializing in low-frequency (LF) PNT technology and industrial timing applications at national and international levels. Its objective is to provide a commercially operated assured LF PNT service based on enhanced Loran (eLoran) technology. The company will focus on the provision of assured timing and navigation to secure critical infrastructure from jamming or spoofing of GNSS signals and other threats to PNT-dependent systems. Charles Curry, founder of Chronos Technology Ltd in the UK, and Charles Schue, founder of U.S.-based UrsaNav, Inc., have joined forces to launch Taviga Ltd and Taviga, LLC, in those nations, respectively. Taviga will focus on preserving and establishing LF PNT networks in the United Kingdom, Europe, and the United States using repurposed Loran-C or purpose-built eLoran technology. Taviga anticipates working in partnership with government agencies and other entities that have a vested interest in reducing the vulnerability created by overdependence on single systems such as GNSS for PNT services. Chronos’ research program was supported by the UK’s Innovation Agency, Innovate UK, through two flagship projects GAARDIAN and SENTINEL that highlighted the vulnerabilities threatening GPS signals (and in the future, Galileo). They also demonstrated how eLoran is a technically dissimilar source of PNT and not susceptible to the same types of interference. “eLoran is a truly complementary source of PNT ideal for use in critical infrastructure applications that demand precise time and timing such as telecoms, broadcasting, financial services, and power utilities,” says Curry. “Every government, academic, and industrial study has resulted in the selection of the LF technology known as Enhanced Loran, or eLoran, as the best wide-area complement to GNSS,” says Schue. There is no doubt that the combination of GNSS and eLoran provides the PNT resilience that most users require. Whether the application is timing/frequency, aviation, maritime, land-mobile, or location based, integrated GNSS-eLoran solutions can provide the proof-of-time and proof-of-position necessary to safeguard national infrastructure and for business continuity of operations. Tests conducted as part of Innovate UK–supported research projects GAARDIAN and SENTINEL, were led by Chronos Technology Ltd and used UrsaNav’s eLoran receiver engine. eLoran transmissions from the UK, Denmark, Germany, France, and Norway, have consistently demonstrated positioning accuracies of better than 10 meters and timing accuracies of less than 100 nanoseconds in areas with access to signals from differential eLoran reference sites. Taviga will now seek to engage those governments, and others, in discussions as to how to transition their Loran stations to commercial operation. Curry and Schue say that Taviga’s goal is the long-term operation of an eLoran system for at least 10 years, which provides the necessary service assurance continuity to enable industrial users to invest with confidence in an eLoran-based service. As users become accustomed to the additional capabilities and resilience provided with a combined GNSS-eLoran solution, Taviga expects to expand the service footprint into other countries worldwide. Taviga Ltd and Taviga LLC are affiliated companies, both initially co-owned by Charles Curry and Charles Schue. Taviga Ltd <www.taviga.co.uk> or <www.taviga.eu> will operate with an initial focus on the UK and European markets. Taviga LLC <www.taviga.com> will operate with an initial focus on North American markets. Founded by Curry in 1986, Chronos provides time, timing, phase, and distribution systems for industrial networks in communications, energy, and finance markets. 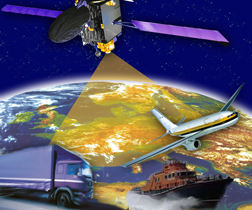 Chronos also specializes in components and systems for industrial resilient navigation and timing solutions, including global satellite systems (GNSS), eLoran transmissions, and GNSS jamming detection. Founded in 2004 by Schue, UrsaNav, Inc. provides LF PNT solutions, equipment, and services that employ Loran-C and eLoran technology. The company’s personnel have been involved in Loran-C and eLoran technology since the early 1970s.